God Bless. Randy was always my favorite. Ignore the title on the Youtube vid please. May 20, 2011. Tags: Entertainment, professional wrestling, randy macho man savage, Wrestling, WWE, WWF. Celebrities, Entertainment, Popular Culture. Comments off. April 28, 2010. Tags: Amy Acker, Entertainment, Happy Town, Harper's Island, Horror, Mystery, Popular Culture, Sam Neill, Steven Weber. Detective Stories, Suspense. Entertainment, Horror, Mystery, Popular Culture, Suspense. Comments off. Yay!! Matt and Nat are back! After months of waiting, the story of Caprica finally moves forward with Zoe in her new Cylon body as the Graystone and Adama families try to cope with tragedy – and of course, Matt + Nat from BSGcast are here with your weekly CapriCast to chat all about it! This episode gives us lots to talk about from the new theme song and opening credit sequence to the concept of group marriages and little Willys life of crime. February 5, 2010. Tags: Battlestar Galactica, BSG, BSGcast, Caprica, Capricast, Entertainment, YourGeekNews. Battlestar Galactica, BSG, Caprica, Celebrities, Entertainment, Fantasy, Mystery, Popular Culture, Sci Fi, Suspense. 1 comment. The deal will give Disney Marvel’s more than 5,000 characters and its licensing, comic book and movie business. Disney’s paying $4.3 billion dollars for the company, a price that’s risen along with Disney’s stock price since the deal was announced in August; stockholders receive $30 per share in cash plus .745 Disney shares for each Marvel share.Now we’ll be watching to see which Marvel Characters Disney pulls out and puts in the spotlight and when the comic book characters will start showing up in the theme parks. One place Marvel’s characters are sure to show up fairly soon is Disney XD, a new successful cable channel targeting boys. The deal ties Disney to rival media giants, as Marvel is committed to deals with other media companies. Marvel and Sony Pictures Entertainment are in a joint venture for Spider-Man merchandise, and Sony is making Spider-Man 4, due out in 2011. 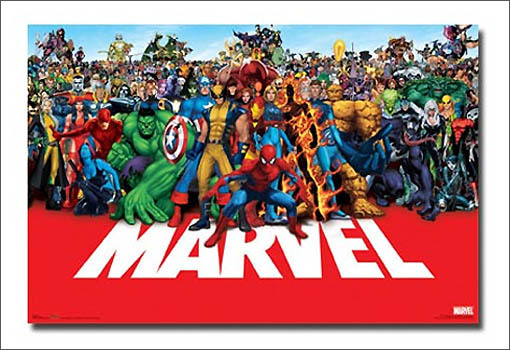 Marvel also has a distribution deal with Paramount Pictures for its next five films, including “Iron Man 2,” (expected to be the biggest film next year) and “Thor” .. . And Marvel characters are licensed to Universal Orlando’s theme parks, which are owned by Blackstone and GE’s NBC Universal…. December 31, 2009. Tags: Amusement parks, Bob Iger, Disney, Entertainment, Iron Man, Iron Man II, MARVEL, Marvel disney merger, Pixar, Spider Man, Thor. Entertainment, Fantasy, Fiction, Film, gaming, graphic art, Popular Culture, Saturday Morning Cartoons, Sci Fi, Supernatural, Suspense, Wall St. Comments off. December 23, 2009. Tags: alexandra moen, bernard cribbins, Billie Piper, Brian Cox, Captain Jack, Catherine Tate, Christmas Dr Who, claire bloom, Dalek, David Tennant, Doctor Who, donna noble, Dr Who Inside the TARDIS, Dr. Who, elder, end time, Entertainment, Fantasy, freema agyeman, Horror, jackie king, John Barrowman, June Whitfield, Lindsay Duncan, lucy saxon, Martha Jones, Matt Smith, Mystery, ood, Popular Culture, press launch screening 2009 2010, regeneration, Rose Tyler, russell davies, Sci Fi, specials companion christmas, steven moffatt, Supernatural, Suspense, The End of Time, The Waters of Mars, timothy dalton, tv trail cardiff wales online, wilf, wilfred. Celebrities. Entertainment, Fantasy, Mystery, Popular Culture, Sci Fi. Comments off. I cannot wait to see ‘Cabin in the Woods’. Our previous posts on Joss, Dr Horrible, Cabin in the Woods, Firefly (and the dreaded, sometimes great, mostly crxpulent, Dollhouse) here. I want to see what Joss created when he was let loose on classic horror! The Producers Guild of America has selected Joss Whedon as the recipient of its Vanguard Award, which recognizes achievements in new media and technology.The kudo will be presented at the 21st Annual PGA Awards ceremony on Jan. 24 at the Hollywood Palladium. “The Cabin in the Woods,” a feature he co-wrote with Drew Goddard, is currently in post-production and will be released in 2011 by MGM. …”Joss Whedon has mastered the art of melding the newest technology with inspired storytelling, truly exemplifying the spirit of the Vanguard Award,” said David Friendly and Laurence Mark, co-chairs of the PGA Awards. November 24, 2009. Tags: Celebrities, Comedy, Dr Horribles Sing Along Blog, Dr. Horrible, Entertainment, Fantasy, Felicia Day, Fiction, Film, Horror, Joss Whedon, Joss Whedon Vanguard Award, Music, Mystery, Nathan Fillion, Popular Culture, Sci Fi, Supernatural, Suspense. Celebrities, Entertainment, Fantasy, Film, graphic art, Horror, Popular Culture, Sci Fi, Supernatural, Suspense. Comments off.